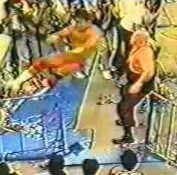 Keiji Mutoh had returned to New Japan in 1990 after a very successful run in World Championship Wrestling, as in perhaps the most successful excursion in recent memory he was immediately elevated to the top of the card. 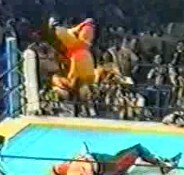 That didn't lead to instead success however, as even though he picked up wins over such stars as Tiger Jeet Singh, Ricky Steamboat, and Shiro Koshinaka he was unable to get any title shots as there were still too many wrestlers above him in the pecking order. He did manage to win the IWGP Heavyweight Tag Team Championship with Masahiro Chono, however, a title that they would hold for over six months. In 1991 he began the year defeating Sting, but at the Sumo Hall event in April he would lose to the massive Scott Norton. 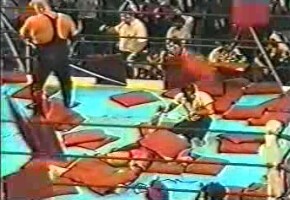 Going into the tournament, Keiji Mutoh had drawn a very difficult Block. First was Tatsumi Fujinami, who was the reigning IWGP Heavyweight Champion. Then came Vader, a three time champion. 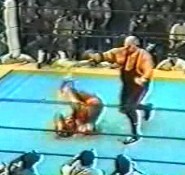 And finally there was Scott Norton, who had just defeated Mutoh a few months prior in a singles match at Sumo Hall. The cards were definitely stacked against him as he had none of his fellow Musketeers in his block but rather two gaijin monsters and the reigning champion of New Japan. 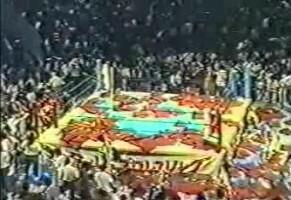 But Mutoh was the crowd favorite, as his matches both as himself and Muta had electrified the crowd since his return in 1990, and everyone knew that he would put on a show.